What an adorable toddler girls outfit. 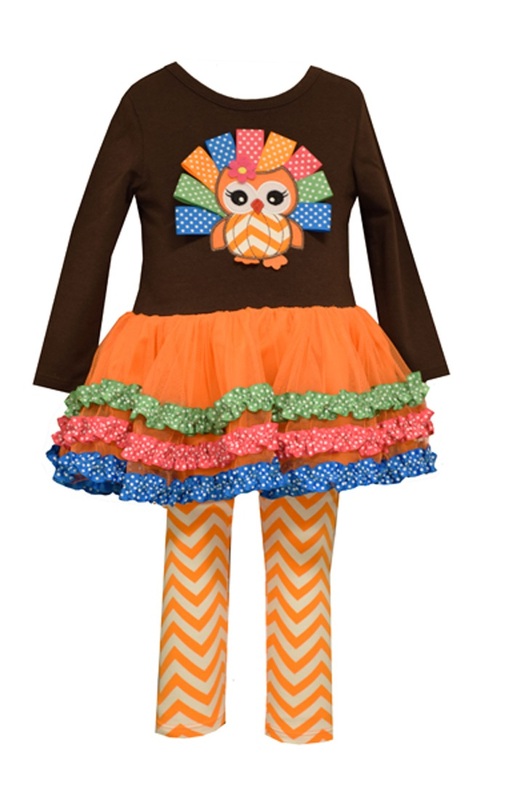 Thanksgiving owl with colorful ribbon trim on solid knit bodice with ruched mesh tutu hem. Cotton spandex chevron print knit pant to match is included. Machine wash.